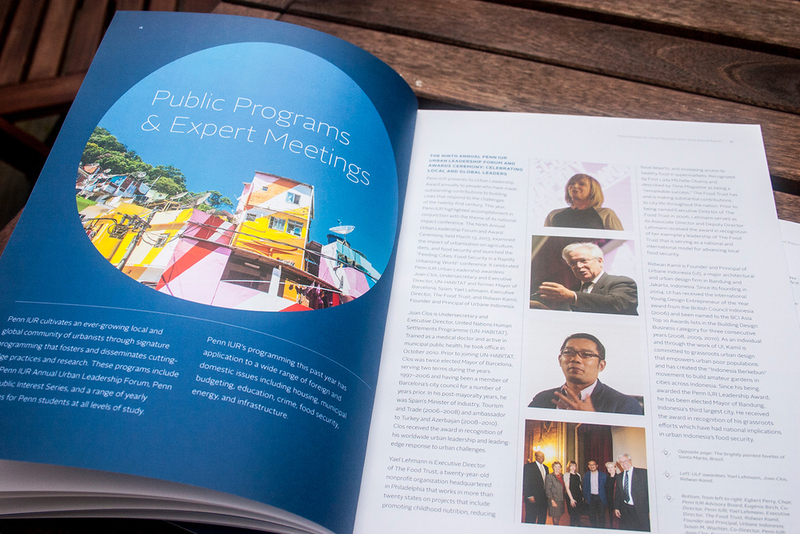 Process Post: Penn IUR Annual Report, "Local to Global"
Hello from the other side of a very long blog hiatus! I took a really long break because...well...I just wasn’t sure I had all that much to say. But I think it’s time to come back to writing, because I’m sure my two other readers have missed me. And I’ve missed writing. 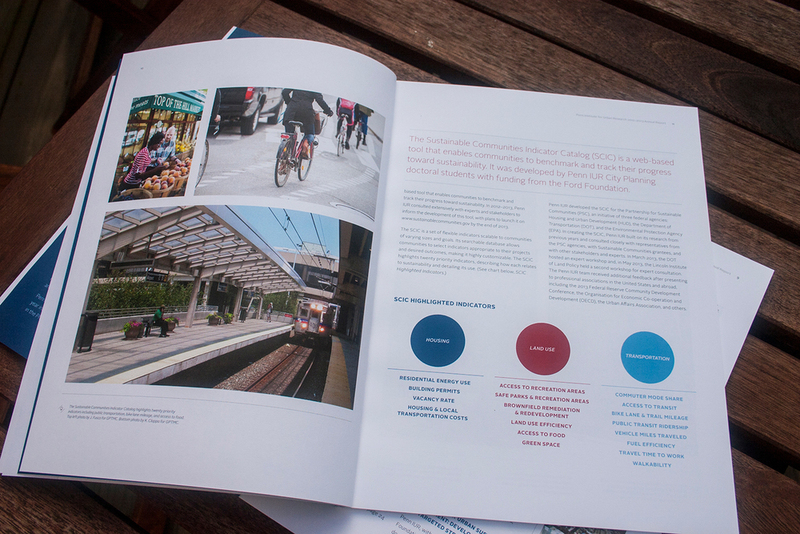 Penn IUR came to Untuck for design work on their 2012–2013 annual report. 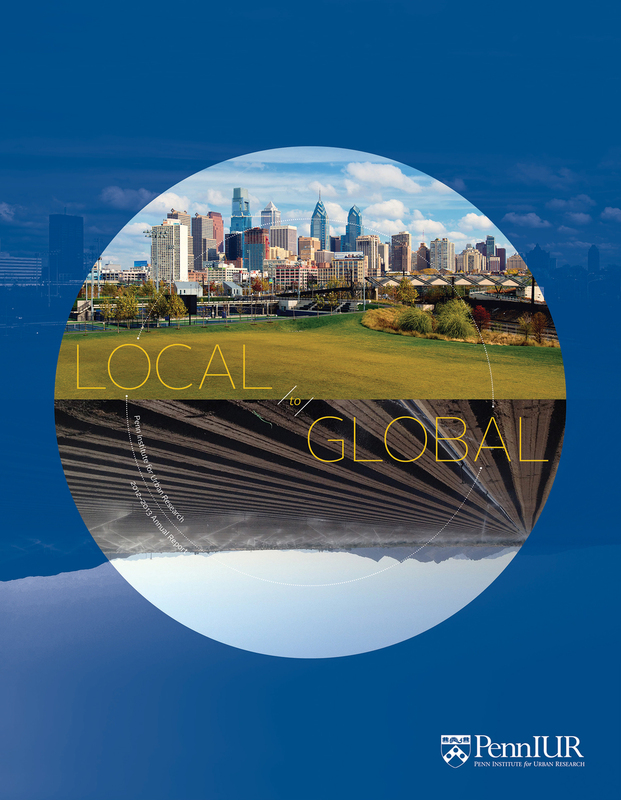 The direction that they gave us was basically just the title: “Local to Global” and the explanation that the main focus of the report is that their work spans and connects the local Philadelphia community to global issues. I always start out with sketches, and sometimes I already have a really clear picture in my head of what I want to do—which was the case this time. 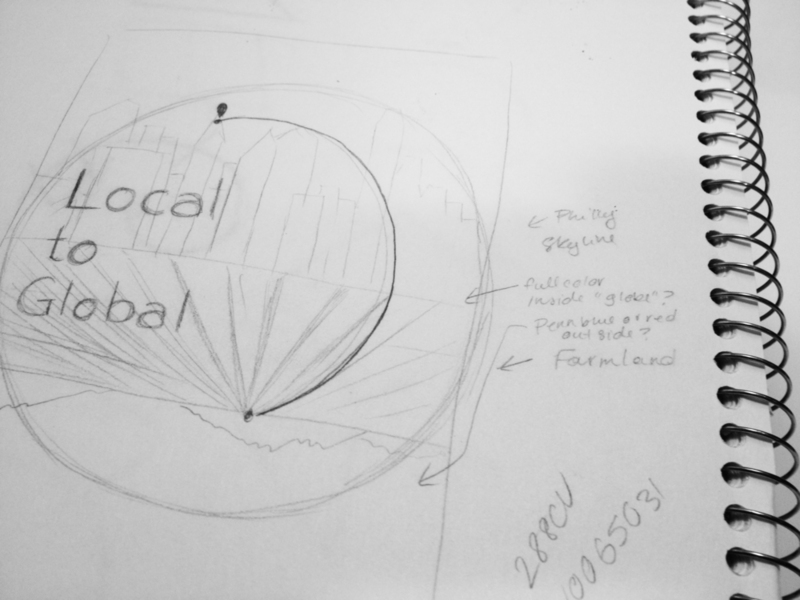 I wanted to show one option of the opposing local and global (aka “the boonies,” apparently, as I labeled it in my sketch) with photographs and a flight pattern diagram, and another option that was a simple illustration showing a city on the globe. Penn IUR picked the first option (yay! 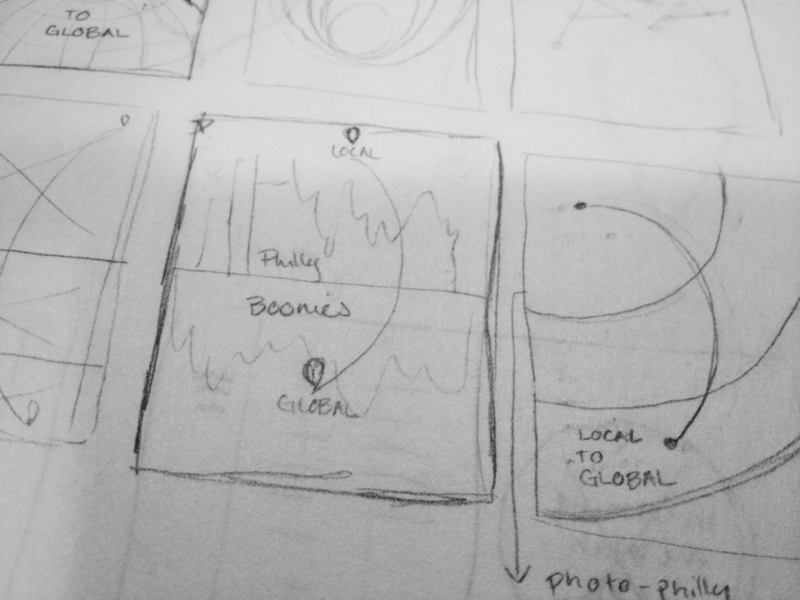 my choice as well) and from there, I moved on to sketching layouts. I know it sounds obvious, but when I don’t sketch layouts from long-form body copy, I often have a hard time feeling inspired. I love editorial design, but it is something that I really have to work at. I switched from pencil and paper to stylus and iPad for the interior sketches. (I use Paper by 53 and the Wacom Bamboo stylus.) My sister had showed me the Paper app sketchbook she created as she was planning her wedding, and I was intrigued. I really like this app for sketching (and easy erasing that doesn’t leave bits of rubber all over the place—amazing!) and I highly recommend it. The finished report came together really quickly and smoothly. 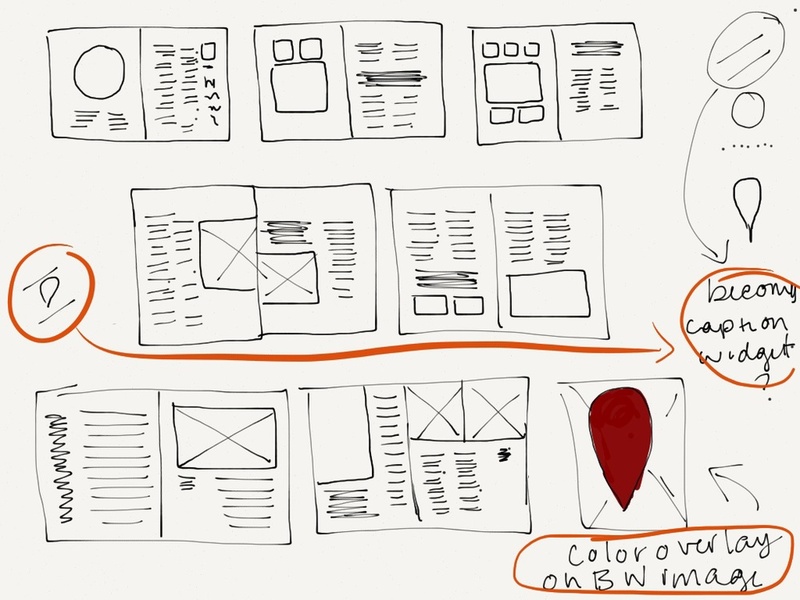 Doing so much of the sketching up front and having a clear idea of layouts and hierarchy goes a really long way toward paving the design path. It’s rarely ever that easy, but it certainly does put a structure in place that acts as a guide. Check out the project page to see more pictures of the report. 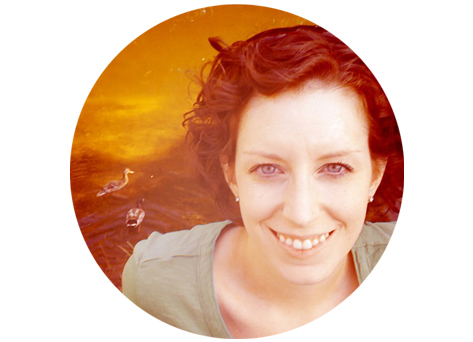 I’m going to try and make these process posts a regular feature. I dig writing them and also, when I’m old and senile, (or in reality, in a year from now when I forget the reasoning behind some design I did) I can look back and say, “Wow, that’s nice. I was rather thoughtful about that project!” Hope you enjoyed reading.